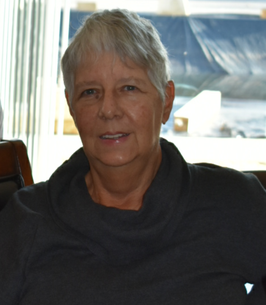 Rose Marie Stricklen, 70, of Melbourne, FL passed away on October 18, 2018. She was born October 3, 1948, in Anaconda, Montana to the late James and Helen Halley. She enjoyed spending time with her children and grandchildren and she would always be prepared with their favorite things for visits. Rose loved to travel, especially on cruises. A generous person who never let you leave her home empty handed. She loved to cook and enjoyed her Dreamsicles. In her earlier days she loved dancing to the oldies. Bike riding, trips to the pool, playing Bingo, and listening to Elvis and Gospel would be among her favorite pastimes. She would frequent Ocean’s Buffet after Sunday service, and enjoyed bringing others along. She was an avid Gator fan and Grandma Muffin to Kylee and Logan. Rose gave excellent advice and had a wealth of knowledge. She encouraged positivity and loved to care for others as she instilled in her family. She is survived by her beloved children; Tina (Steven) Hendricks, Michael (Andrea) Stricklen, and Linda Sykes and fiancé Jason; grandchildren, John (Erica) Stricklen, Derek Hendricks, Christopher Hendricks, Samuel Stricklen, Matthew Stricklen, Kayla Hendricks, Livia Stricklen, Kylee Sykes, Nathaniel Hendricks, Logan Sykes; great-grandchild, Zachary Stricklen; siblings; Robert (Lil) Halley, Mary (Carl) Shafer, and Lana (Bruce) Showman, along with a large loving extended family. From all those countless hours spent at the pool during the Golden Hour to the stories she shared with us of her childhood. From the days at the beach to all the times she had my favorite meal ready after a long trip to Ocala. From all the fights she broke up between her children and grandchildren, to the times she brought us together. From all the times she spoiled me as a child, to the times she spoiled me as an adult. From all the times she gave me advice to when she told me to chase my dreams and lead a happy and fulfilling life. I'll never forget the Gift of Rose. I'll miss and love you, forever and always. A family gathering will be held privately. To send flowers to the family of Rose Marie Stricklen, please visit our Heartfelt Sympathies Store.